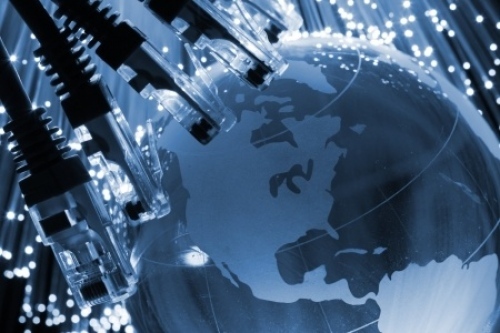 The Point Topic report notes that most of the subscriber boost in Asia can be associated with the significant growth in ultrafast Fibre-to-the-Premise (FTTP/H) / “full fibre” connections (e.g. 19% in Australia, 16% in New Zealand, 11% in Vietnam and 8% in China). 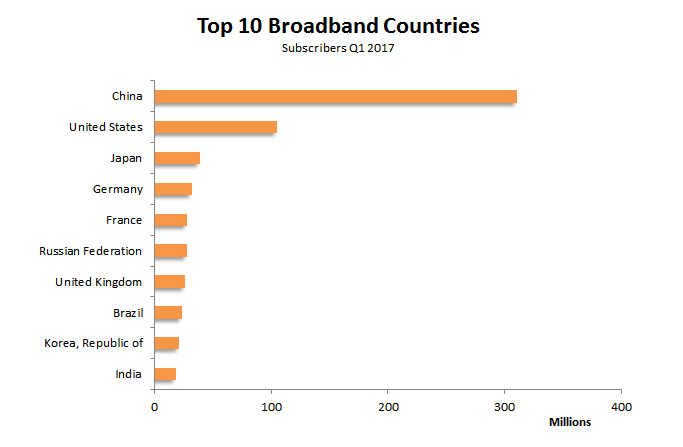 In 12 months to the end of Q1 2017, China alone added 76 million FTTP/H connections (twice as high as the total fixed broadband subscribers in Japan) and they dominate the table for overall subscribers. Meanwhile in other areas, such as Europe, older and slower copper ADSL lines have continued to be cannibalised by faster FTTP/H and hybrid fibre (FTTC) or Cable (DOCSIS) services. 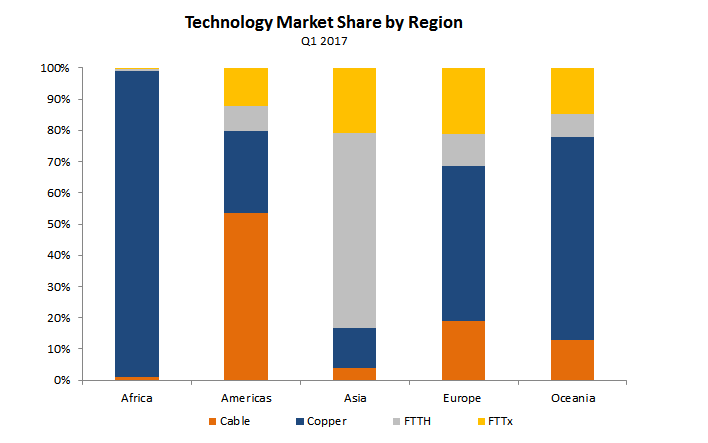 In terms of the annual changes, the number of copper lines globally fell by 7.2%, while FTTH connections increased by 40% between Q1 2016 and Q1 2017. 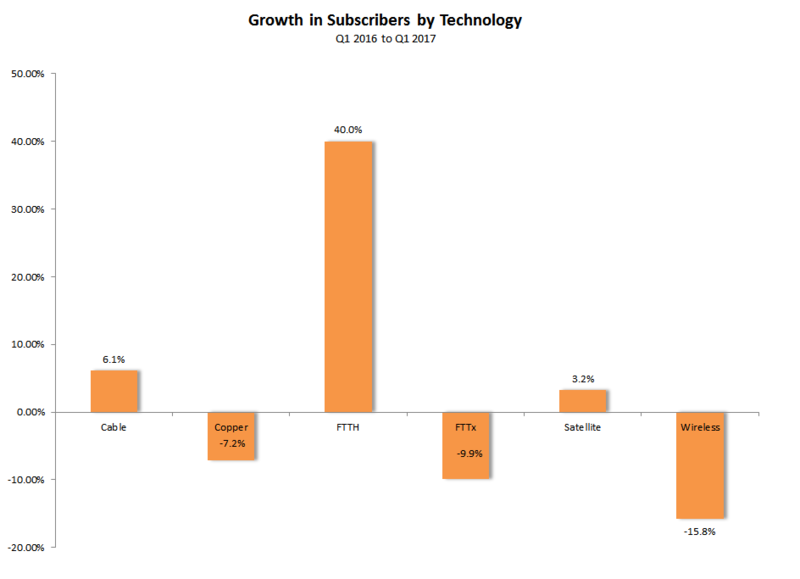 It’s interesting to note in the final chart that hybrid-fibre broadband connections (FTTx) appear to have recorded a sharp negative growth of -9.9% over the past year (even more rapid than the -7.2% copper fall), which is largely down to China’s replacement of such services with FTTH/P lines. Elsewhere the fall in Wireless growth is perhaps a bit misleading since it’s attributed to the rise in 4G (LTE) based Mobile Broadband coverage (different side of the same coin). 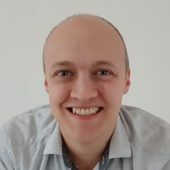 As usual Cable operators, such as Virgin Media in the United Kingdom, continue to see a steady level of growth thanks in part to network expansions and upgrades like Gigabit DOCSIS3 or the forthcoming DOCSIS 3.1.